The loop features three generations of a Athenian family: mother, child and grandchild. 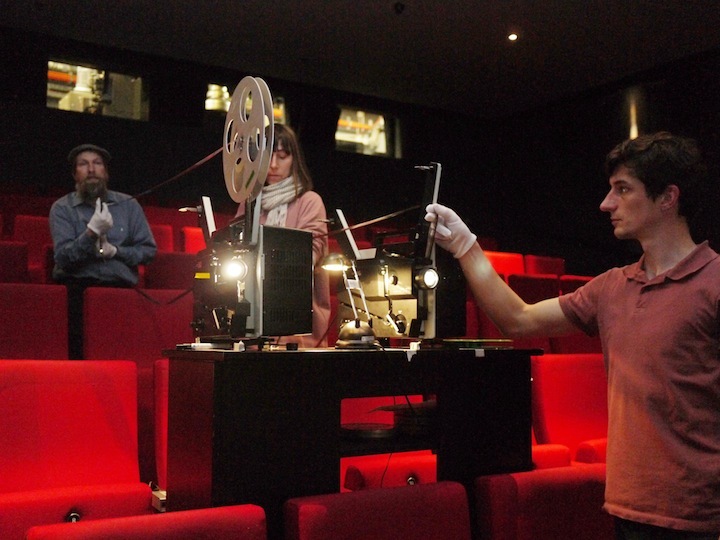 The loop is running through two 16mm projectors at the same time. The image being projected on the right screen will appear later on the left screen. 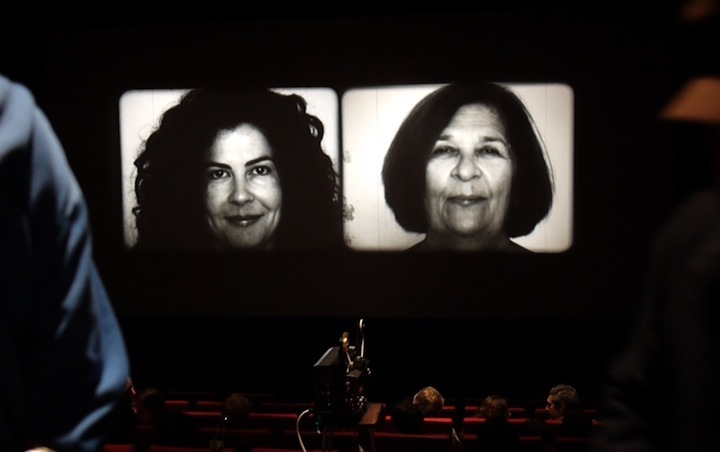 The loop is part two in a experiment with analogue film focusing on replication of information, in this case genetic code and its manifestation within different generations of a family. Recent presentations in Goethe-Institut Athen and Arsenal Berlin have been done in a sort of performative projection with use of three helpers to adjust to irregularities and prevent the loop from collabse while running through two non synchronised projectors.